Big game hunters could soon be bagging monster crocodiles as a way to help Aboriginal communities. 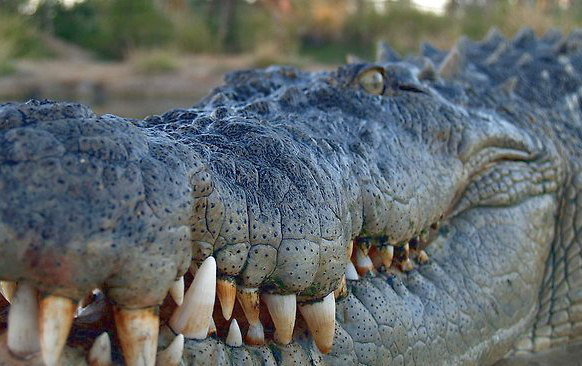 Federal Indigenous Affairs minister Nigel Scullion wants to lift the ban on crocodile hunting to create a new market, where hunters would pay Aboriginal groups for the right to slay giant reptiles. Australia’s crocodiles have been protected for 40 years, but Mr Scullion has been pushing to give hunting permits to Aboriginal communities to sell to hunters. Reports this week say the permits would be worth up to $30,000 each. The NT government has joined Mr Scullion’s call, saying it wants to give 20 of the 600 permits issued annually to cull problem crocs to indigenous groups. If these were sold on, it would bring more than $500,000 into the remote communities. “I think it’s time to ensure that our first Australians can get a bite of the economic bullet,” Scullion told the ABC. The Abbott government rejected the idea early last year, but insiders say the new push in stronger and could lead to a deal within months. Reports say the hunting plan came back on the agenda after Nationals MPs were aggravated by environment minister Greg Hunt’s ban on importing lion’s head hunting trophies. But there is no sign of a change from the federal side, with Prime Minister Tony Abbott saying there were no plans to change the legislation just yet.